We are excited to announce our first exhibition, “Frame of Mind: Context and Perspective”. I’ll get around to explaining this theme in a bit, but first, some info on what to expect at our Pop Up. It’s a collective exhibition featuring seven artists who are interpreting “Context and Perspective” in different media (painting, photography, installation, and video). The exhibition opens on Friday, December 12 at 6pm on the 4th floor of the Elite Plaza building at 15 Khorenatsi St, with an inaugural event accompanied by wine and live DJ. The exhibition will be on view for ten days until Sunday December 21st. We will be open daily from 12-2pm, and 5-9pm. So if you can’t make it to the opening, stop on by at your lunch break or after work! We also have some interesting events planned at our space, including presentations by local artists, entrepreneurs, and art curators, as well as a final musical performance for our Finissage (closing event) on Saturday Dec 20th. More details on events to come. Our Pop Up space: 4th floor of the Elite Plaza building, 15 Khorenatsi Street, Yerevan. “Frame of Mind: Context and Perspective” explores how different contexts shape the way we see the world. By context I mean our environment, it can be an actual physical space but it can also be a cultural context, like life experiences, upbringing and traditions. These are all things that affect our worldview. In the physical sense, imagine how differently a child sees the world than an adult simply because they’re smaller. Remember how terrifying it was to cross the street? The street seemed endless, and the cars were at eye-level. I’d hang onto my father’s hand for dear life, tripping over my own feet. I had a similar experience more recently. 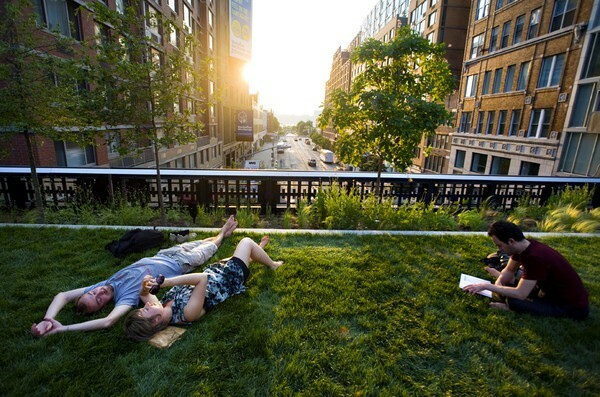 In the summer of 2009 the first part of New York City’s “High Line” opened to the public. 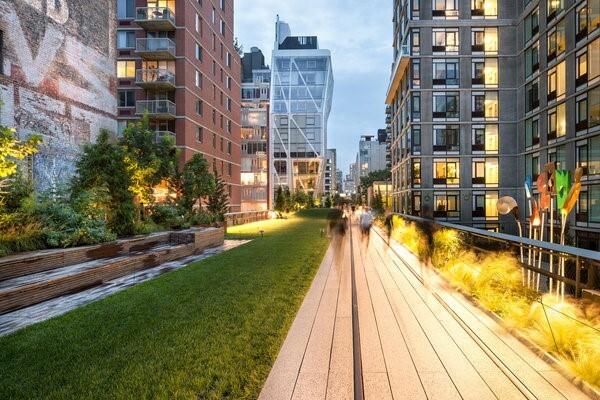 For many years, what we now call the High Line was just an unused train track; a remnant of a former above ground cargo line. Now it’s a suspended garden with a walkway, fountains, sculpture, and trendy caffe’s and shops. Walking along the High Line for the first time was the strangest sensation. I realized that I had never seen New York City at that height before. You’re either rushing through the city at ground level, with all of those skyscrapers towering above you, or looking down at that iconic Manhattan skyline from some rooftop lounge. But cutting through the city at a second-story level was a trippy perspective. It felt much more intimate, you could actually see the horizon between the buildings, not just at large intersections (which is normally the case). It felt like a different place. Changing the angle or way that you normally look at something forces you to reflect on what that thing actually is. A lot of times we become jaded towards our environment. We take things for granted, and we don’t pay attention to the details. This is part of what HAYP Pop Up Gallery is all about – forcing the viewer to take a second look. 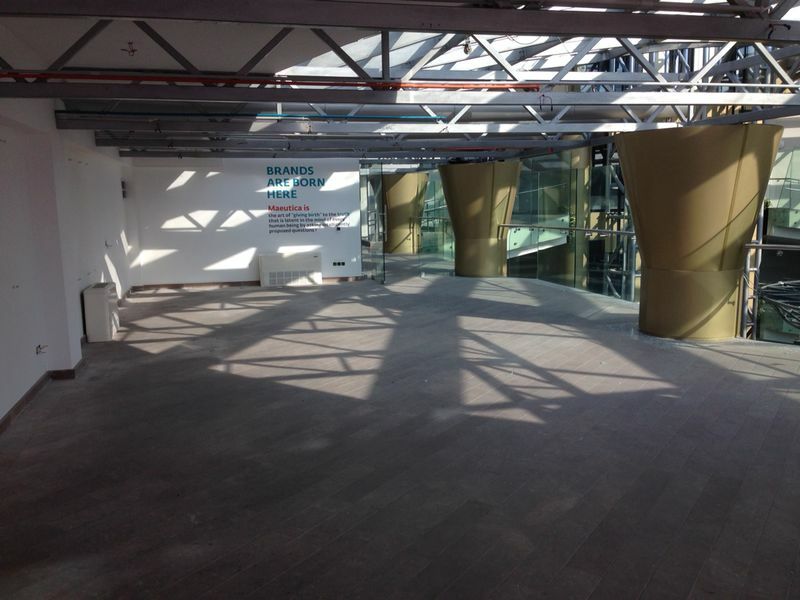 What you think is just a for-rent storefront, we see as potential exhibition space. It’s the same place, we’re just looking at it differently. When we talk about personal context, it becomes a bit more complex. Each of us has a unique background and life experience that shape who we are as people- our opinions, our sense of self, and sense of “the other”. Many times the two overlap, spatial and personal context, I mean. 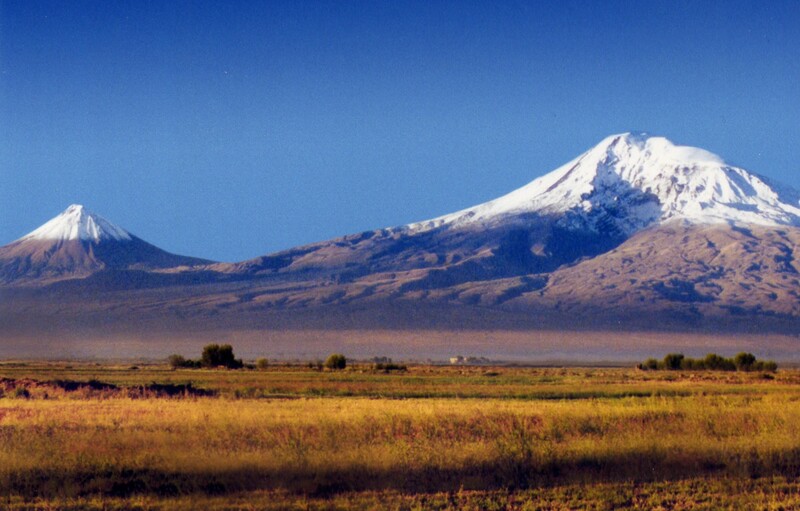 Consider when you talk about mount Ararat to an Armenian, he/she automatically imagines a small peek followed by its larger sister peek. Ask someone in Turkey about that same mountain, and in their minds appears the reverse, a large peek followed by a small peek. Show the unfamiliar perspective to either of those individuals, and it will feel unnatural to them. Different perspectives, imply different cultural, and in this case, sensitive historical and geopolitical implications. Same mountain, different perspective. 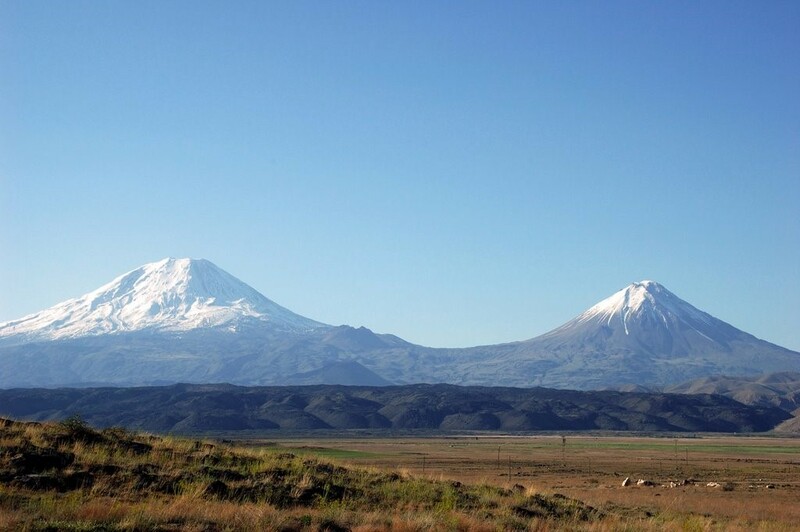 View from Armenia; view from Turkey. This is kind of a roundabout way of explaining the theme of this exhibition, but I thought I’d go into more detail since the title is a bit abstract. There are many ways to interpret this theme, and the artists in our exhibition are approaching it from very different standpoints. Some artists are more playful, like Karen Mirzoyan and his Intergalactic War scenes. 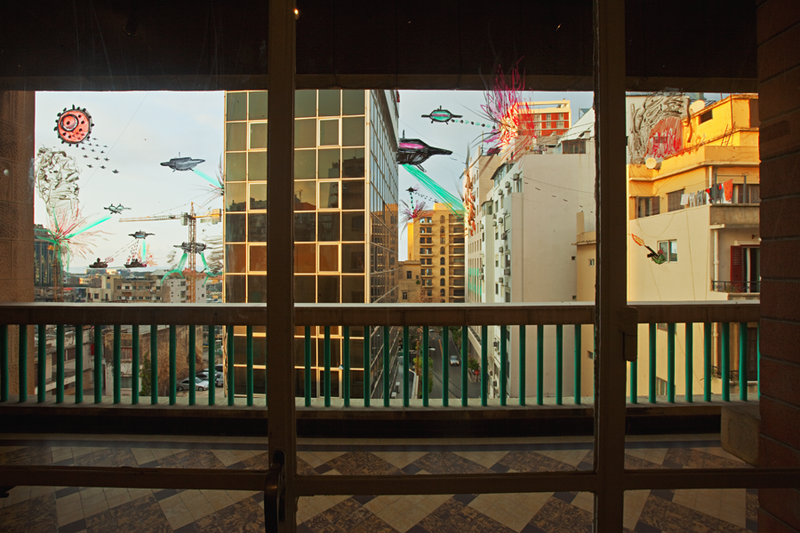 Karen draws directly on the windowpanes of his hotel rooms envisioning extraterrestrial attacks on the cities he visits in his travels. Each city inspires a different scene, and the photographs are intriguing, humorous, and also slightly unsettling. Aramazt Kalayjian and Peno Mishoyan’s collaborative installation piece takes a more philosophical approach to perspective and understanding. A sequence of hanging windows with lettering on them collectively communicate a message to the viewer from a frontal perspective, but move around the work and the statement is fragmented into separate haikus. Each layer has a meaning, and together they create another. That’s all I’m going to share with you for now. If you want to know more about the other artists and the works on display, then come see for yourself! Our program of events for our first Pop Up Event Week will come up soon as well.